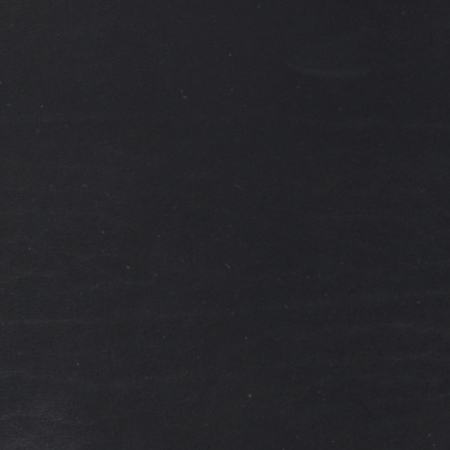 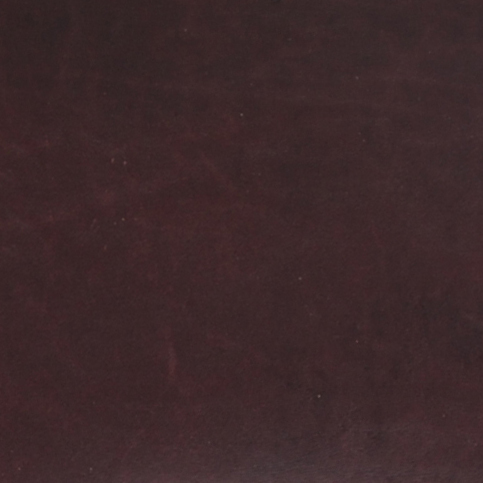 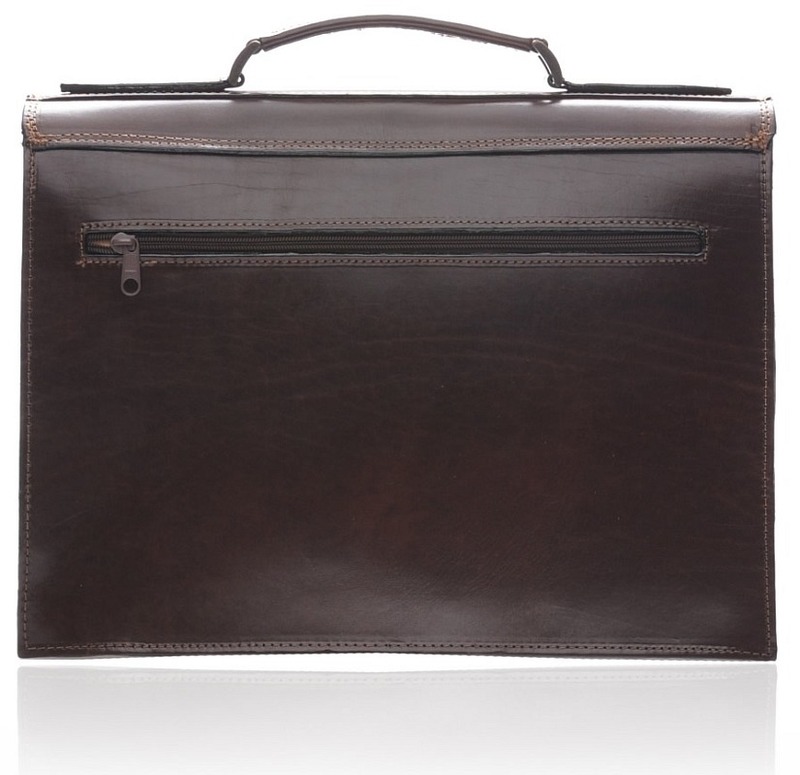 The KINGSTON dark brown leather briefcase provides the perfect texture of dark brown on the fine quality calfskin leather from which it is made. 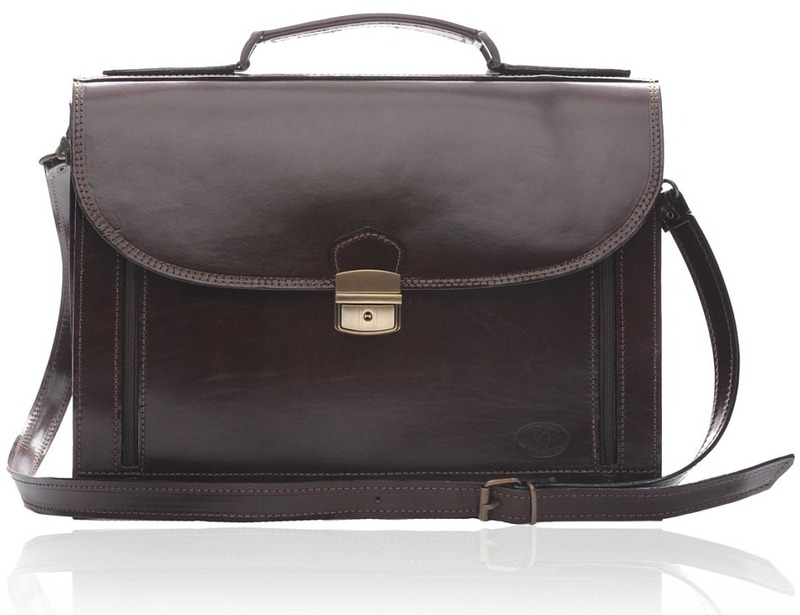 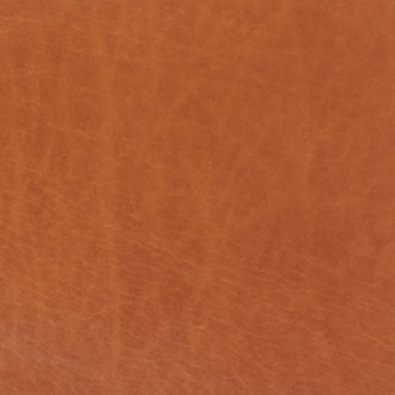 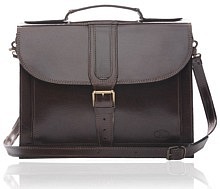 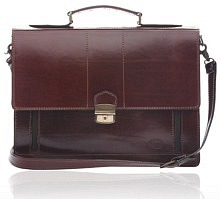 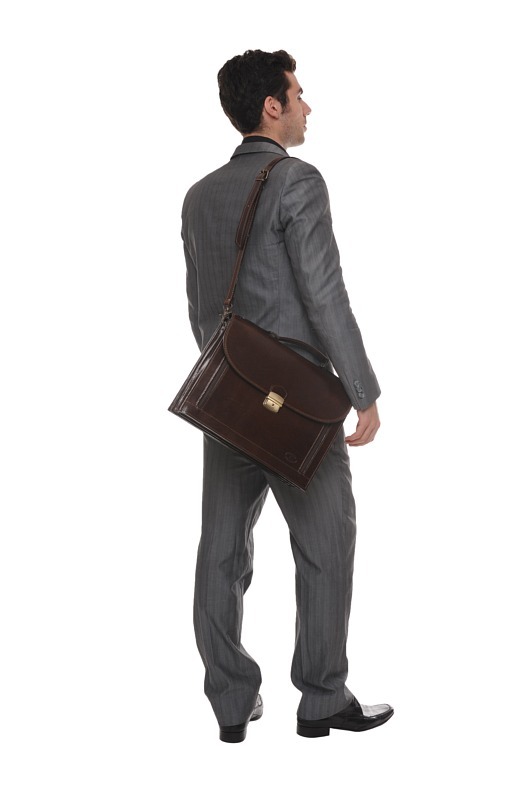 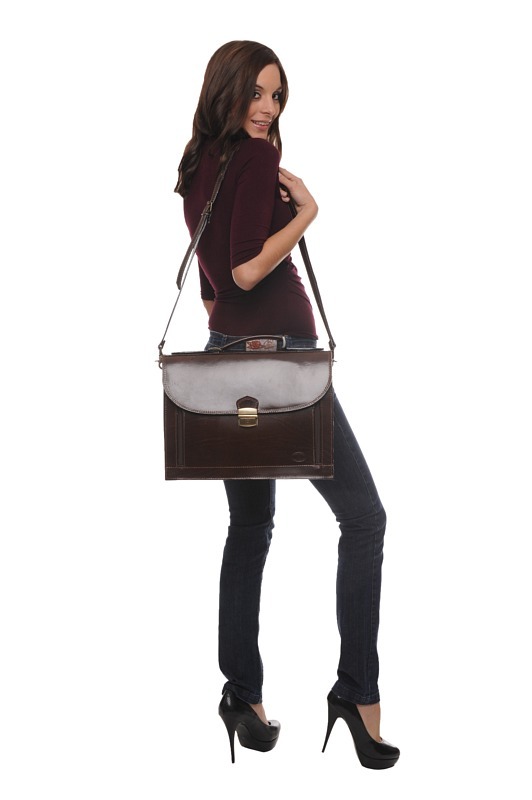 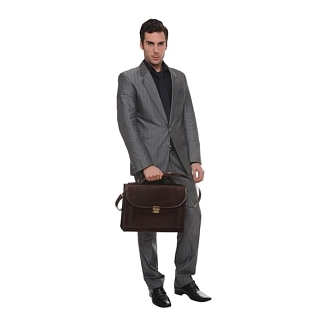 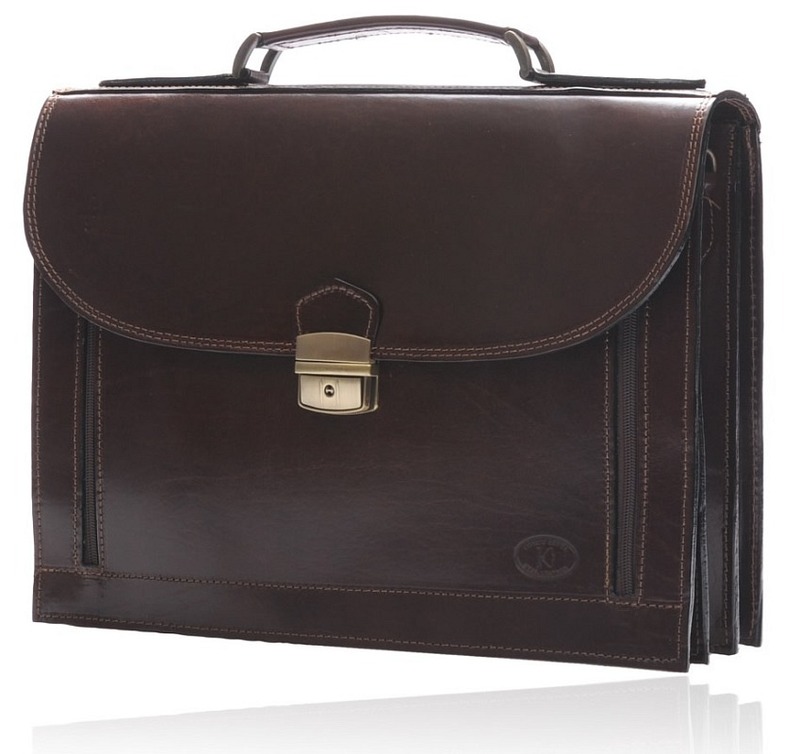 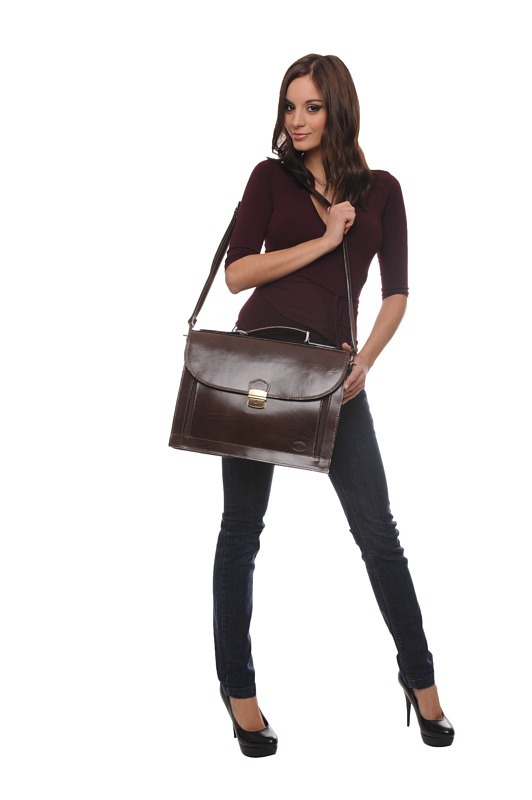 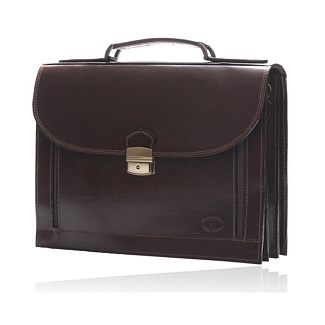 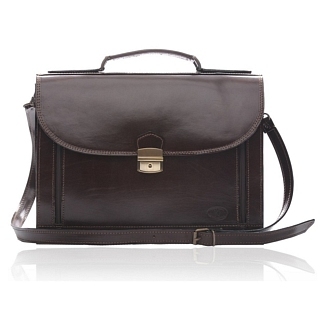 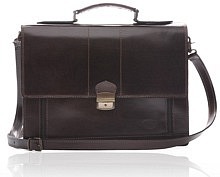 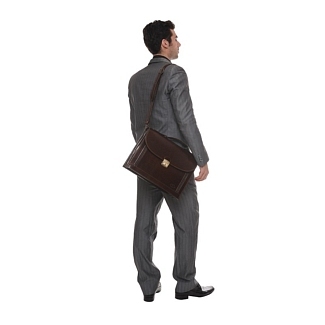 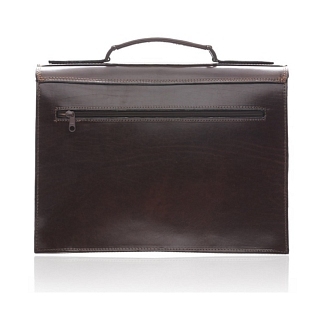 This dark brown briefcase is beautifully constructed, with heavy attention paid to every single detail. 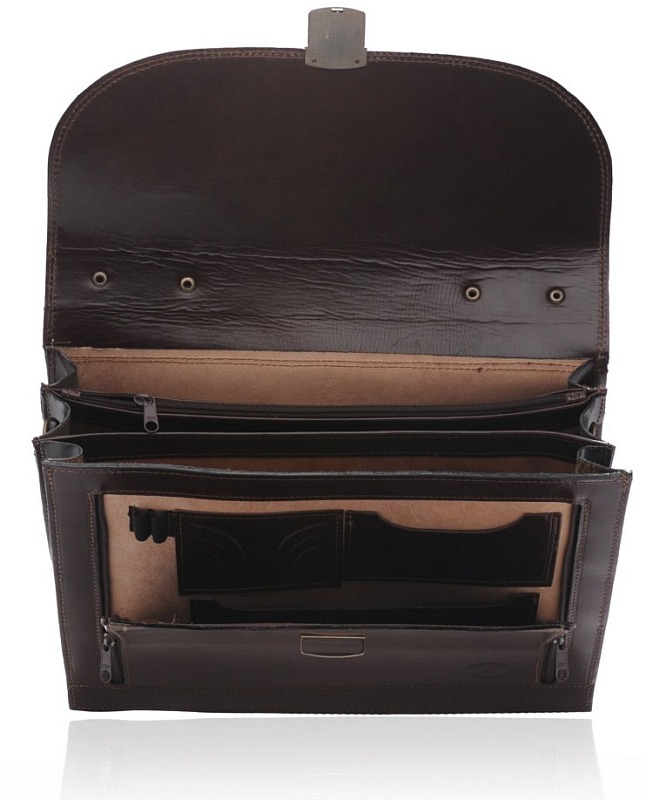 It has three portions inside and a zipped sleeve.There is also a smaller one on the front which requires a zip mechanism. 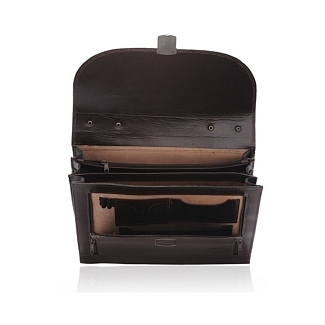 There’s another zip at the back, providing a small amount of space for storage there too. 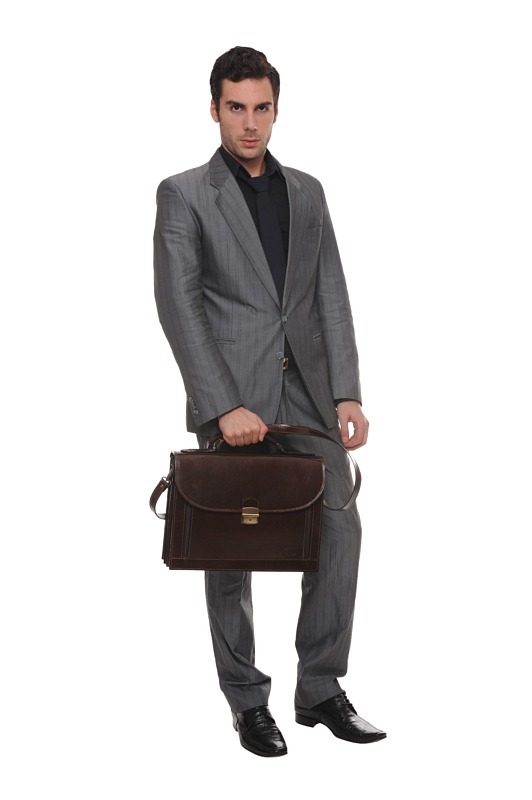 This leather briefcase is from the Iris Luxury collection, and also comes with its own shoulder strap which can be used as an alternative to the top handle of the briefcase.